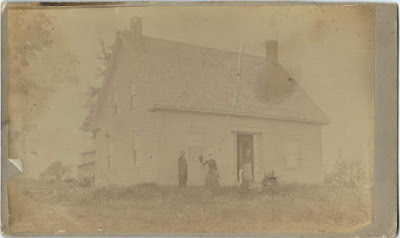 This is what appears to be a 19th century photograph of a house, described on the reverse, in the handwriting of amateur historian Virginia (Golding) Pottle, as possibly the Perkins house on the Shore Road in Perry, Maine. 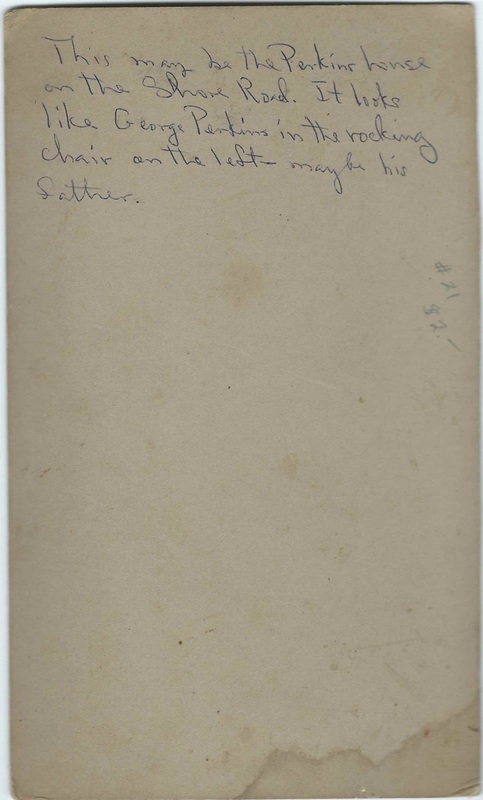 The man in the rocking chair is tentatively identified as George Perkins or his father. 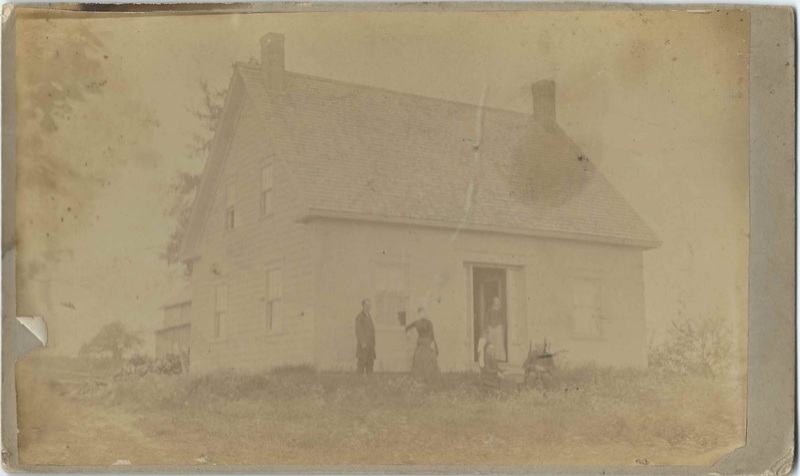 See another post that features a photograph of George E. Perkins and wife Harriet Aylward Perkins of Perry, Maine. George Edward Perkins was born April 13, 1855 at Perry, Maine, the son of James Perkins and his second wife, Mehitable (Pottle) Perkins. Harriet (Aylward) Perkins, "Hattie", was born at Pembroke, Maine, or Perry, Maine, on February 8, 1867, the daughter of Lowell C. Aylward and Harriet E. (Leach) Aylward. Read about the military service of Lowell C. Aylward here. 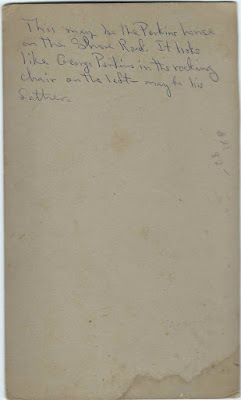 George and Hattie married in March of 1886 and settled at Perry, Maine; I didn't find a record of any children for them. Hattie died in 1905 at Calais, Maine, shortly after her 38th birthday. George was still alive at the time of the 1930 Census of Perry, Maine.